Hi everyone! 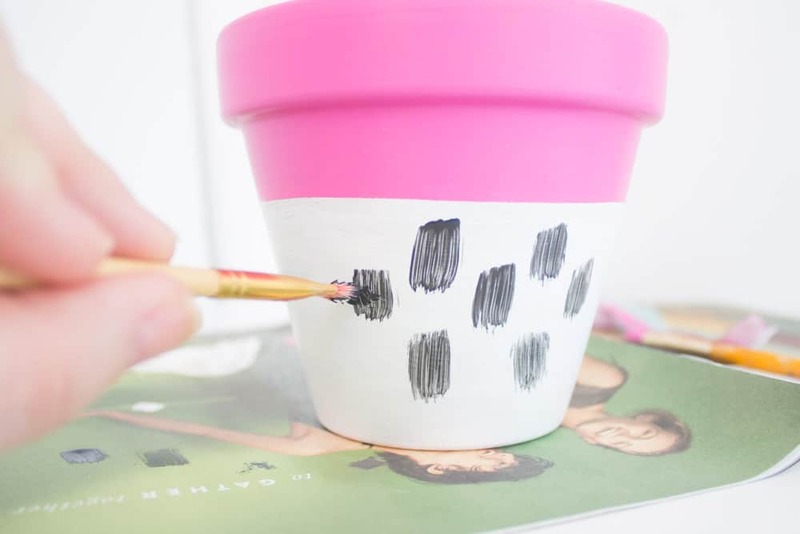 Heather here from Craft + Tell again, I’m so excited to be joining you today to share how I created these fun Modern Indoor Planters I’ve been swooning over lately. 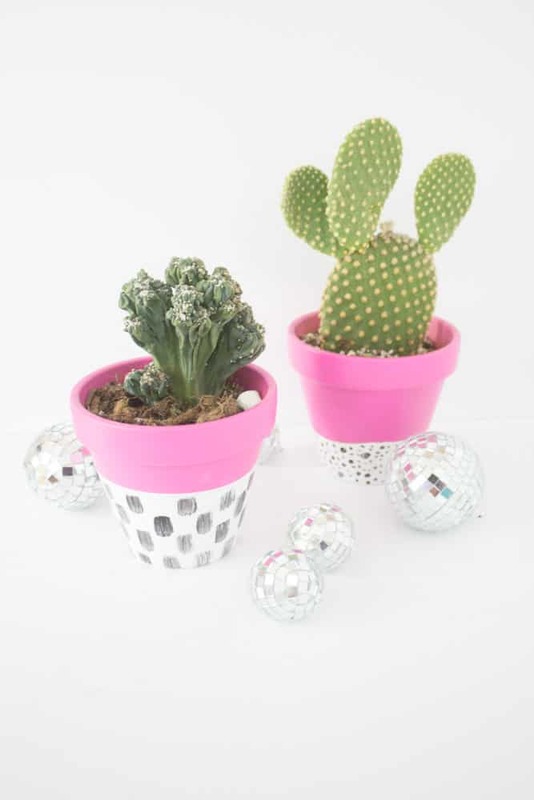 Are cacti your favorite too? I shared on Instagram the other day how my husband had the audacity to ask me, “Don’t you think you have enough succulents and cacti in the house?” Uh, that’s kind of rude of him. However, three days later he sent me a pot of succulents to my office — so that’s how I really know it’s true love. 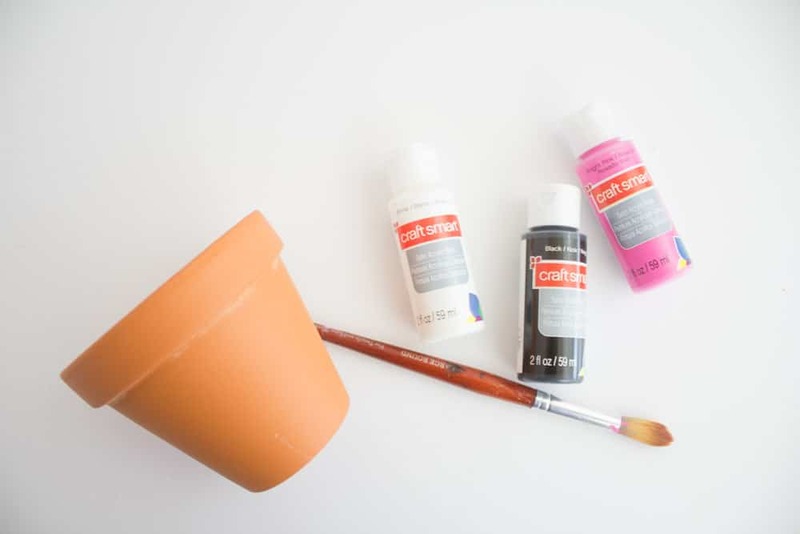 Start by painting about 3/4 of your planter white, and let dry. 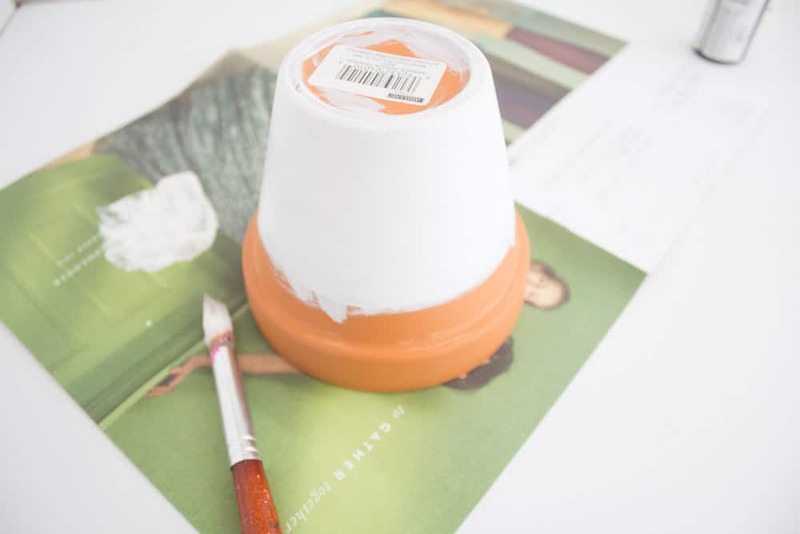 Once it’s dry, paint the other 1/4 your favorite pop of color. I chose pink because for some reason I’m really loving it lately. Once both are dry, use a small paintbrush to paint an abstract design in black. On one, I used a hard bristled brush to paint abstract lines. On the other, I used a teeny-tiny brush to attempt to create Dalmatian spots. They ended up looking like abstract polka dots which is a-okay with me. I let it fully dry, then I planted my cute cactus inside it. 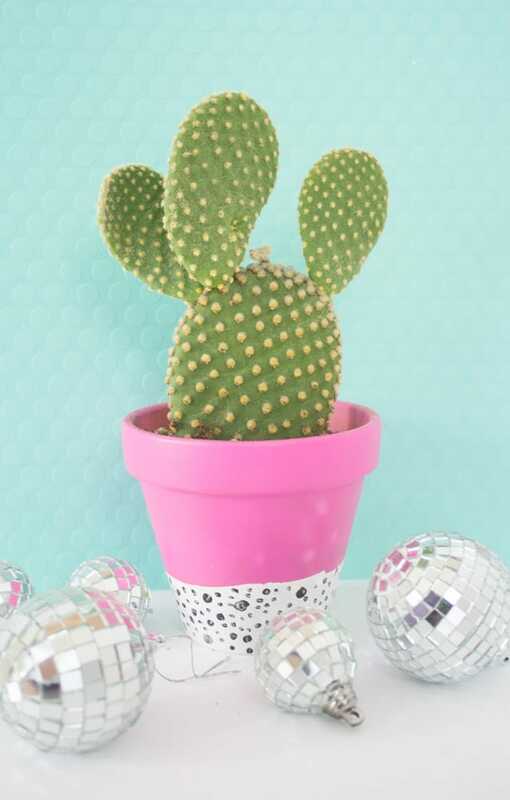 I found this cactus at a local shop here in Oklahoma City that hosts fun workshops to help you plant your favorite succulents while sipping on delicious coffee. A couple of girlfriends and I went there to celebrate Galentine’s Day and it was an absolute blast. What is your favorite abstract design? Sprinkles? Dots? I want to know!